When it comes time to introduce new foods to a baby, many parents don’t know where to start. You might receive dozens of suggestions from family members or co-workers, and some of their advice could be contradictory. 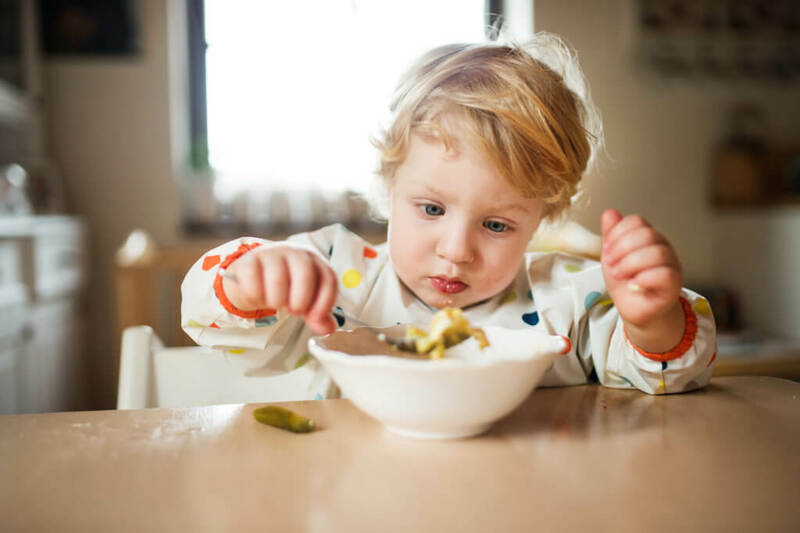 Even though every child is slightly different, there are some basic guidelines that you can follow as your baby transitions from liquids to solids. Unless your doctor tells you otherwise, breast milk and formula are the only two things that your newborn should ever eat. Those two liquids will provide your infant with all of the nutrients that they need, and they are very easy to digest. If you decide to feed your child formula, then you should be ready to try out a few different brands. Every brand has different additives, and your newborn might be allergic or sensitive to some of those ingredients. As a general rule, you should wait to feed your baby solids until they seem ready. Most babies begin to show interest in solid foods around 4 months of age, but it might take a few more months for them to develop enough strength in their jaws and neck. If they are able to hold their head upright and transfer food from a spoon to their mouth, then you might want to introduce one or two solids to their diet. Single-grain cereals and pureed vegetables are great options for children who are under 12 months old. Whenever you introduce a new food into your child’s diet, you must keep a close eye on how they react. Most nutritional experts agree that you should only introduce one new food every few weeks. Around their first birthday or whenever their teeth begin to erupt, you can start offering your child single-ingredient finger foods that are easy to digest and nutrient-dense. Such foods include cooked eggs, whole-wheat breads, sliced deli meats, hard cheeses, rice, and pasta. A diverse diet is going to be absolutely vital to your child’s health, and that is why you should have them try a wide variety of foods as they grow older. Do you have more questions? Talk to staff at WFMC Health or become a new patient today!